The Vidyalaya is an English Medium School following the CBSE syllabus which was started in 2003. The application form for admission can be downloaded or collected from the school only when the admission dates are announced. “Vidyaya Amrutham Ashnuthe” it means “Development of Knowledge is the base of external happiness”. Charity is a universal duty. The charitable activities should be pertained for the benefit of the down trodden, needy fellow beings and for the upliftment of the have nots. The Society has from time immemorial adorned and respected the learned RISHIS and in the modern world highly educated. Goddess of Fortune (Dhanalakshmi)stays where Goddess of Knowledge (Vidhyalakshmi) is respected. Keeping this in view H H Swamji. -felt that the land should be put to the best use and benefit of the society and local people. It was his desire to start a chain of educational institutions from the level of play school to the highest level of a University. With this idea, a humble beginning of a school named “Sri. Raghavendra Vidyalaya’ was started on 9.6.2003 in a private building. Bhoomi pooja of the present campus was performed on 26/05/2003 by H.H.Srimad Raghavendra Teertha swamiji and the foundation stone was laid by Hon. Chief Minister Sri V. S.Achuthanandan on 12th February 2006. The function was presided by Finance Minister, Dr.Thomas.Issac. Qualified teachers and Effective learning methods. We provide yoga and meditation classes that help to have control over body and mind. To enhance the memory and concentration of students, we give abacus classes. To encourage their talent in music and drawing, we give drawing and music classes. To make them environment-friendly, we support vegetable gardens. Karate classes to make them physically efficient. Field trips in each semester. Playschool admission for two years and above. We have more than 3500 books in our library. Science, Mathematics and Modern Computer labs. 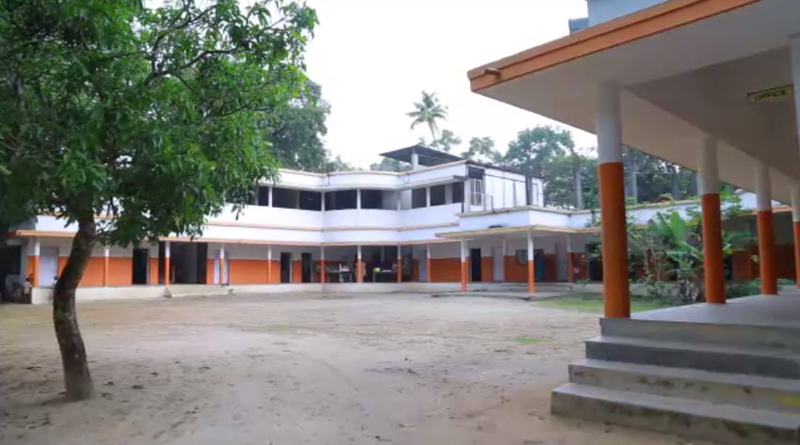 Further works have been initiated by the trust to complete the proposed building for the school. All Philanthropists are invited to join’ by contributing wealth, health, expertise and also information to complete the mission. 2018 © Copyright Sri Raghavendra Vidyalaya. All rights Reserved.